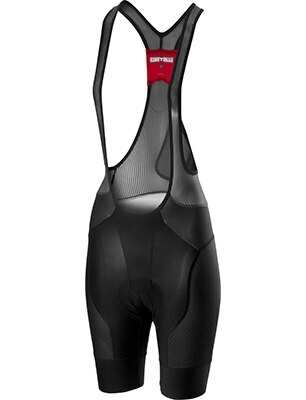 An updated chamois and several subtle improvements have made Castelli’s most popular bibshorts better than ever. In the realm of apparel, it has long seemed that Castelli can do no wrong. By focusing on precise fit and carefully tailored function, and backing the development process with feedback from top pros who log tens of thousands of miles per year, the Italian brand has built a rock solid reputation for outstanding apparel. 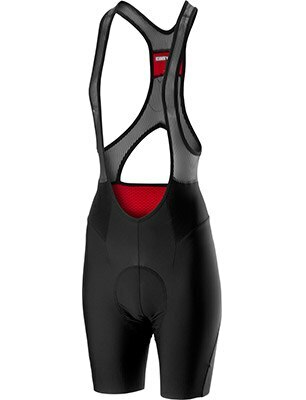 And suffice it to say that the updates to three of Castelli’s most popular bibshort lines, the Premio, Endurance, and Free Aero Race, have made each of these staples even better than their highly esteemed predecessors. 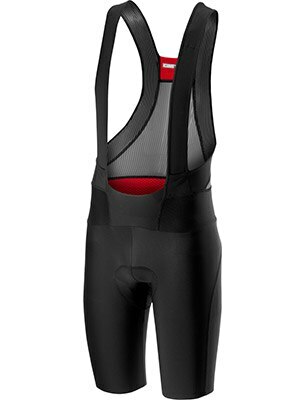 At the heart of each of these updated bibshorts is the Progetto X2 Seamless chamois. Built on the insights earned from subjecting the previous Progetto X2 Air chamois to countless hours in the saddle, the Progetto X2 Seamless utilizes a nearly identical foundation and enhances it with a four-way stretch microfiber cover and seamless construction. Castelli wisely retained the variable thickness padding that we so loved about the X2 Air. The result is a subtle improvement to a chamois that has become a favorite of those who log serious miles. As Castelli’s most technical bibshort, there was precious little room to improve the Premio. As before, the Premio 2 uses Castelli’s highly compressive Forza fabric arranged in a pattern that’s all but seamless, providing considerable hold to keep legs feeling fresher for longer, and doing so with a surprisingly soft feel. It gets a slight adjustment to the bib construction, aimed at conforming perfectly the lumbar region of the back, as well as the Progetto X2 Seamless chamois. For your longest rides, the Premio 2 is one of the very finest options on the market today. 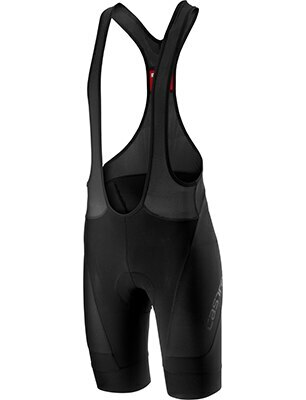 The Free Aero series is Castelli’s dedicated race day offering and the choice of Team SKY, giving this line a legitimate claim to being the most successful race short of the modern era. It’s also been cemented as a clear favorite amongst the Competitive Cyclist staff. The Free Aero Race 4 carries over the distinctive dimpled Vortex fabric, which both increases aerodynamic efficiency and has proven extremely adept at managing moisture. The updated bib straps are even lighter and more comfortable, helping them to all but disappear when you get on the bike. It also gets stretchier leg grippers for a flawless fit, as well as the Progetto X2 Seamless chamois. These improvements are incremental, rather than revolutionary, and considering how well loved the previous version was, we consider that to be a very good thing. 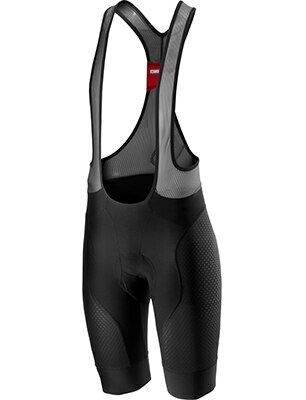 As the most affordable option receiving the Progetto X2 Seamless chamois upgrade, the Endurance 2 represents a unique value in Castelli’s lineup. It’s billed as a “classic” short, but that undersells the excellent fit, lightly compressive hold, and soft hand provided by its Endurance Evolution fabric. Other than the insert, the most dramatic improvement is the addition of Castelli’s Giro3 leg gripper, which offers a snug fit and outstanding comfort. We’d consider this to be an ideal training short, but in truth, it will serve admirably on race day and represents a very good choice for the season’s biggest rides as well.